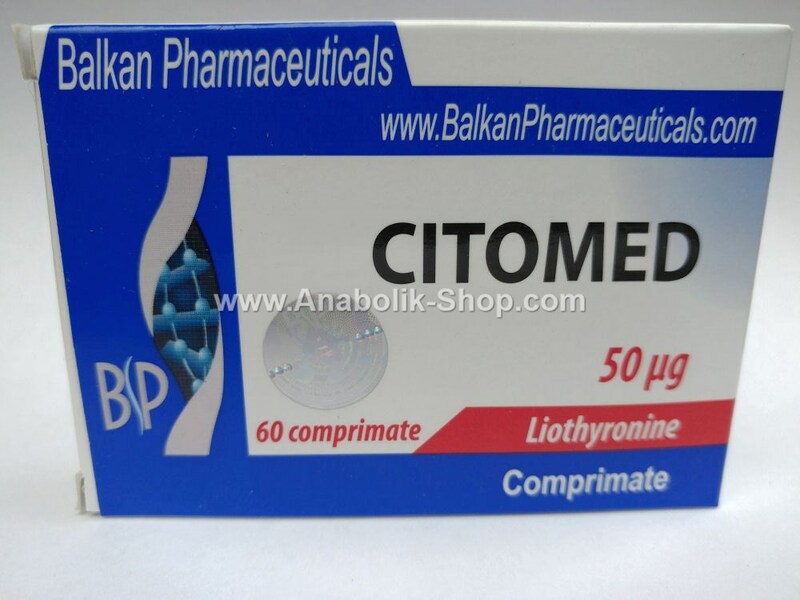 Citomed by Balkan is not an anabolic steroid but a thyroid hormone, triiodothyronine (T3). 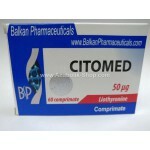 Clinically used to treat thyroid insufficient, obesity, certain metabolic disorders and fatigue. 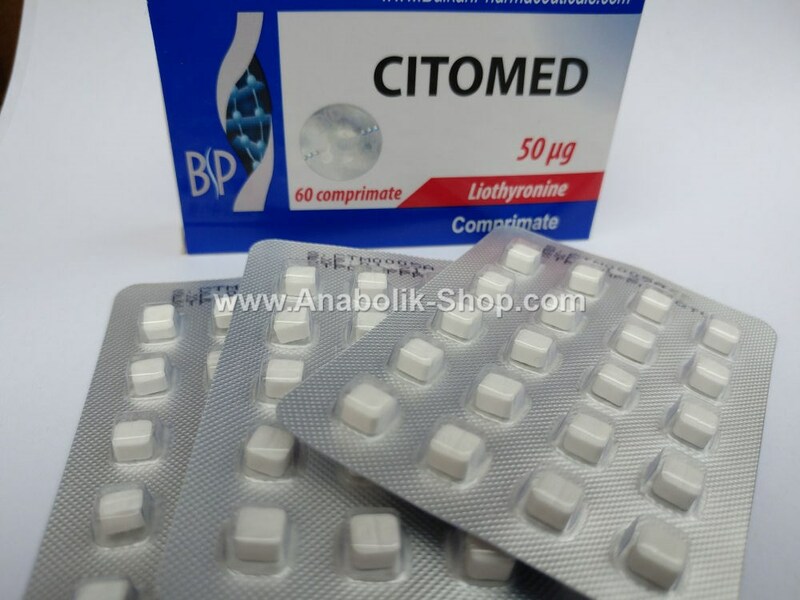 When administered, Cytomel increases the patient's metabolism. The result is increased cell activity through a more efficient and faster fat, protein and carbohydrates. Bodybuilders are attracted to this drug because of its ability to burn excess fat. You can lose large amounts of fat without reducing calories too much. 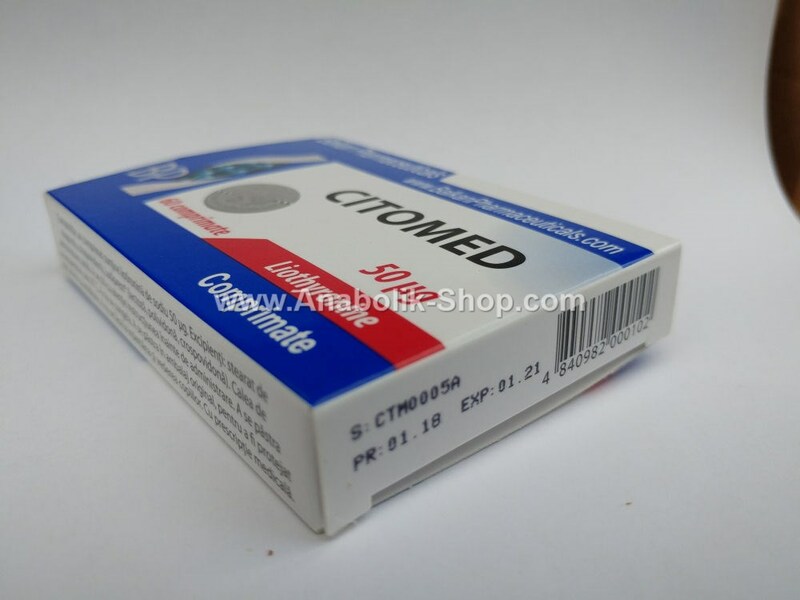 Cytomel is used in combination with Clenbuterol, a combination that can have extreme effects on fat burning. This combination has become very popular in ultmii years. Also when thyroid hormones are taken in combination with steroids is an increase of their anabolic effect (due to the use eficeinete nutrients). Those who use this drug should do it carefully. Cymetol comes with a long list of precautions and warnings that should not be ignored. There may be side effects such as heart palpitations, agitation, dificulatati breathing, irregular heartbeat, sweating, nausea, headaches. It is a powerful hormone that can disrupt body functions if used improperly. Doses should be administered incrementally. Usually given 25 mcg the first day and then 25 mcg increments every 3-4 days to a maximum dose of 100 mcg. This helps organiusmul to adapt and not be "shocked" by this too much thyroid hormone. The daily dose should be divided equally over the day to keep blood levels steady. Women are more susceptible to side effects of Cytomel and is recommended to take no more than 50 mcg / day. A course should not take more than six weeks and should not be stopped abruptly. As slowly as the dose was increased and decreased. Taking this medicine for a long time or in large doses can lead to permanent thyroid gland dysfunction, which can lead to addiction Cytomel throughout life. 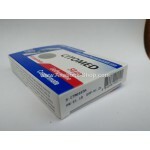 It is a good idea before using it to make control of the thyroid gland. A hiperfunctie of the glands would not interact well with Cytomel. The injectable form of Cytomel should be avoided. It is used only in emergency rooms and is too strong for an athlete. For that is the most powerful thyroid hormone, beginners would do well to stay away from him. Before using something so powerful is recommended to make an accommodation with substannta triacana weaker and that is much milder in effect than Cytomel. Or you can choose Syntroid (T4). After the cycle of T3 levels of this hormone in the blood can be very low leading to lower metabolic rate and thus the emergence effect "yo-yo" when lost weight is put in place. Evtita to this a controlled diet is required after completion! When using Cytomel, Protein should be about 3-4 g per kilogram body weight. Most protein should come from lean meats. Shakes can be used, but should not rely too much on as they are more likely to be immediately converted into glucose and used for energy. Reducing calories should come from carbs and fat. In lean and to keep starvation regimens can cause muscle loss. Many use substances such as anabolic steroids, in small quantities to prevent it. An example of cycle for 3 weeks: 25/25/25/50/50/50/75/75/75/100/100/100/75/75/75/50/50/50/25/25/25. If you want one for 4 weeks, each dose should be used for 4 days (25/25/25/25/50/50/50/50 .....) and then changed to 5 for 5 spatamani days and then changed and so on. 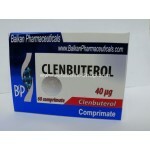 Product name :Clenbuterol Manufacter:Balkan Pharmaceuticals Presentation: Box with .. Product Name: T3 liothironine sodium Manufacturer: Uni Pharma (Greece) Presentation..
Name of product:Astralean Manufacter:Alpha Pharma India Presentation:box with 50.. 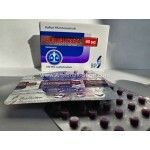 Product Name: Sibu 15 Manufacturer: SB Laboratories Box with 100 tablets 15 mg ..